The forest is a complex ecosystem that is constantly evolving. It is part of our mission to both understand its history and to plan and protect its future. As stewards of the land, we are charged with the task of planning and facilitating conservation efforts in our various ecological communities, which requires multiple land management techniques. What you see when you look out into the dense trees, prairie grasses, and marshy wetlands today is different than what you would have seen 200, 100, or even 50 years ago. As we interact with the forest in a multitude of ways, we all have a role to play in this story. We are leaving our footprint on the forest, and it’s vital that we consider its size and shape. We’ve learned that a purely “hands-off” approach doesn’t work as well as you might guess. In the absence of proactive conservation efforts, the plant and animal life at the forest would eventually fall out of harmony and reach a non-working state. So we do research, and lots of it. We get out there and observe. We utilize the helping hand of hundreds of dedicated volunteers. We encourage nature to thrive in every way we can. Conservation at Fontenelle Forest is the sum of our efforts, from pulling weeds to writing reports. If there’s one thing we know, it’s that nature will do what it wants to do. Our job is to pay attention. The approach is simple: focus on maintaining a balanced environment where animals will want to live. With the healthiest trees, the richest soil, the cleanest air possible, the creatures that make the forest harmonious and happy will follow. 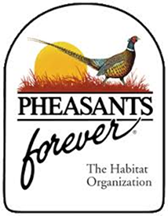 Oak savanna and woodland habitats within Fontenelle Forest face severe decline. Their regeneration has been stunted due to the lack of open space resulting from fire suppression and the encroachment of invasive plants. To ensure the preservation and expansion of this ecological community, we began an oak woodland restoration project. Since the 1980s, the deer population has exploded, due in part to the lack of larger predators and the abundance of food. To mitigate the issue, we embarked on what has been a decades-long process: conducting research, forming and enacting a plan, and constantly evaluating results. 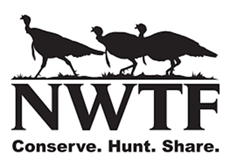 Since the official deer hunt program began in 1996, it has become arguably the most successful conservation program in the history of the forest. Due to years of storm runoff, Coffin Springs Hollow had eroded into a five-hundred-foot gully. Soil repeatedly washed from the area into the nearby stream and was thus threatening the health of our Great Marsh ecosystem. With help from our partners and supporters, we successfully completed a series of erosion controls in recent years. While a house on fire in a neighborhood is not a good thing, fire in a prairie or oak woodland certainly is. These ecological communities are fire dependent and our trained prescribed burn crew has been reintroducing this component to the natural systems here. Fires are often missed in this age of modern settlement. Fontenelle is home to many beautiful plants, but some can wreak havoc on our land. 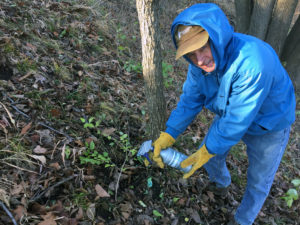 We remove invasive plants in order to restore and maintain the natural habitat. Ornamentals that escape from yards and plants accidentally brought from other countries can take over when an ecological community is out of balance. Invasive removal is hard work. All of the work we do requires many hours of labor, which is where our land steward volunteers come in. This dedicated group is invaluable to our conservation efforts, but we also rely on our neighbors to help keep our forest healthy. Find out what you can do to help. Living in harmony with nature is truly something to appreciate But, having the Forest in our backyard sometimes means we encounter wild animals. 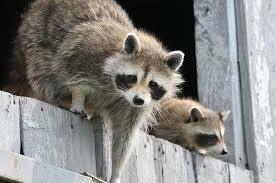 here is information about the urban wildlife you might come into contact with and what to do. Do you like being outside in nature year-round, staying active with physical activities, and the idea of assisting Fontenelle Rangers and Biologists with restoration efforts in your backyard Forest? …then we have the perfect volunteer opportunity for you. Throughout the year, the Land Stewards group meets on periodic Saturday mornings to organize and carry out seasonal restoration related jobs. 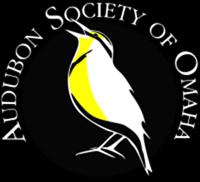 Interested individuals should meet at the Fontenelle Forest Nature Center by 8:30 AM (let the front desk person know that you are here to volunteer w/ the Land Stewards and they will direct you to the Cafeteria). We will have a brief gathering with donuts and coffee before a workday briefing and then on to the work area by foot or vehicles. We generally work until 11:30 AM before preparing lunch (hot dogs cooked over an open fire) or heading back for lunch (cold sandwiches) at either Camp Brewster or the Nature Center. Volunteers should wear long pants and work boots (seasonal type), bring leather work gloves or equivalent, dress in layers (work clothes), and prepare for mosquitos, steep terrain, and thick vegetation in some instances. We provide the bug spray, water, food, and scenery, you provide your gloves and enthusiasm.